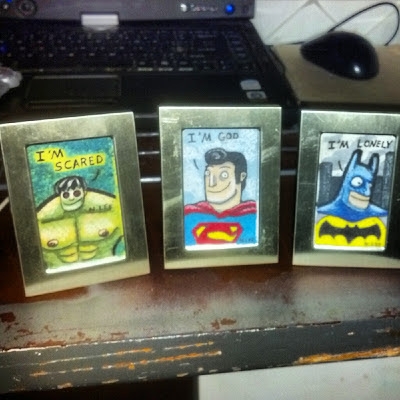 I decided to make some tiny illustrations to go in some tiny frames that I bought, so I bring you Derp Heroes. "I'm Scared," "I'm God," and "I'm Lonely" is what they say. I don't know why they're saying that, and I certainly don't know why they're smiling.